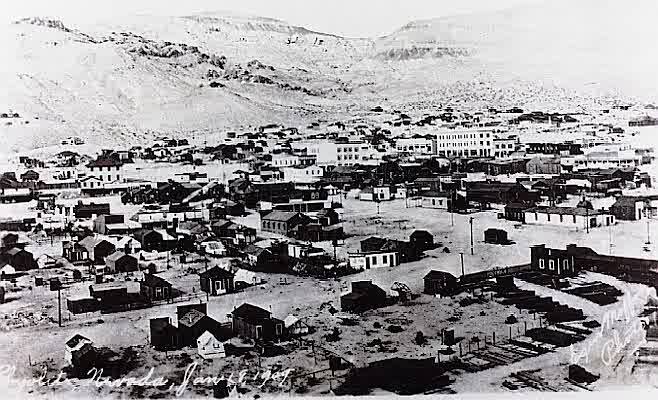 On August 9, 1904, two prospectors, Frank 'Shorty' Harris and Ernest L. Cross, discovered gold on a hill nearby. 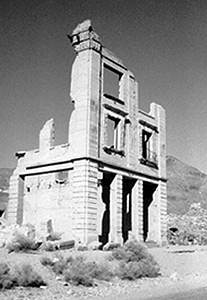 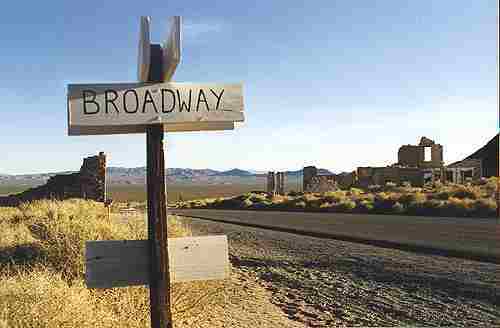 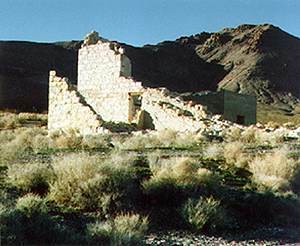 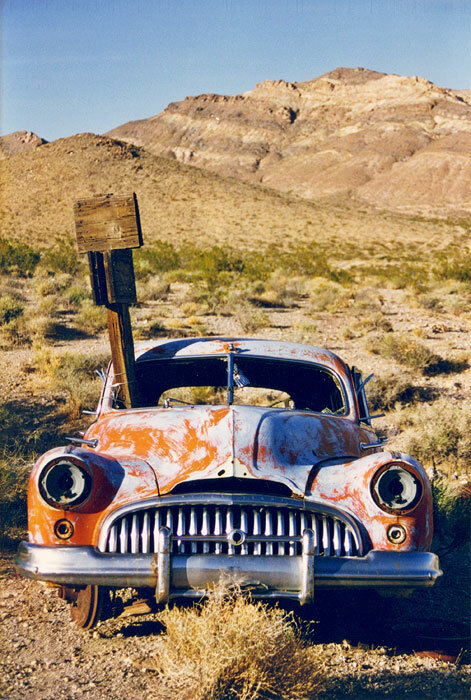 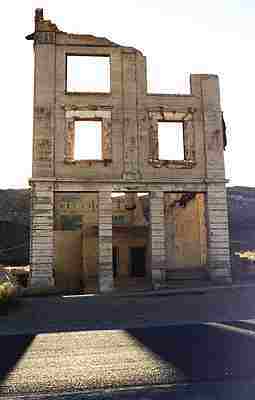 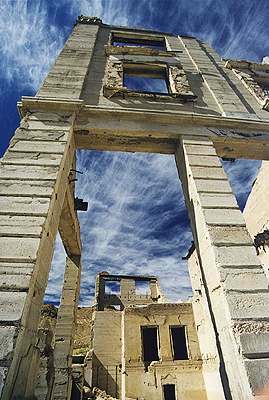 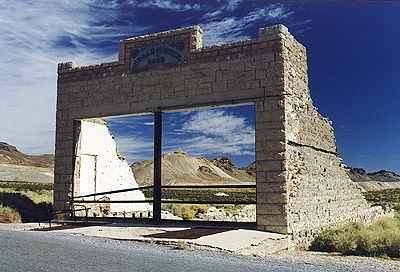 The town of Rhyolite was founded. 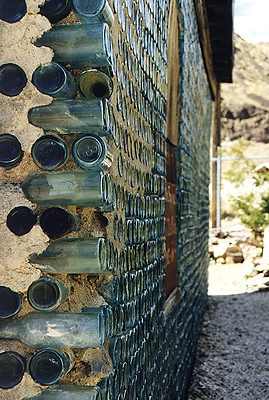 The world famous bottle house. 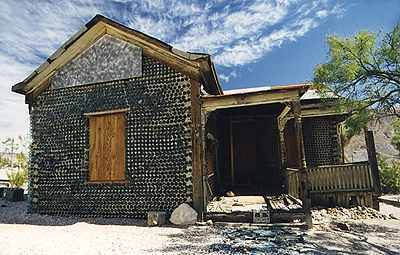 Because he had no other material, a miner build this house out of whisky bottles. 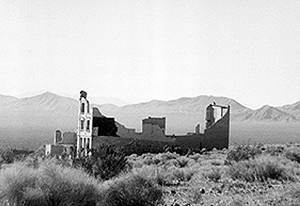 10000 People lived here. 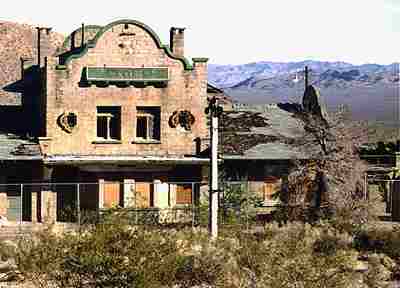 There were about 50 saloons n the city, a redlight district, and even a public swimming pool. 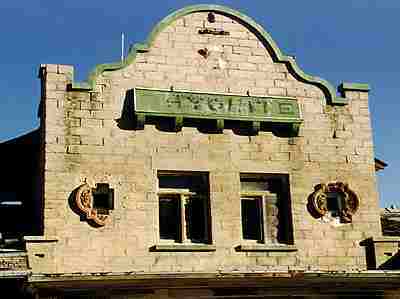 Today, a number of well preserved buildings remain. 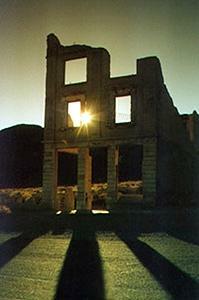 The peaceful atmosphere of the desert makes a visit to Rhyolite an unforgettable experience.